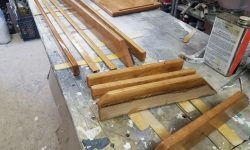 In addition to the support trim for the table top when installed in the down position, I needed a few pieces of fiddle trim to replace the original trim. 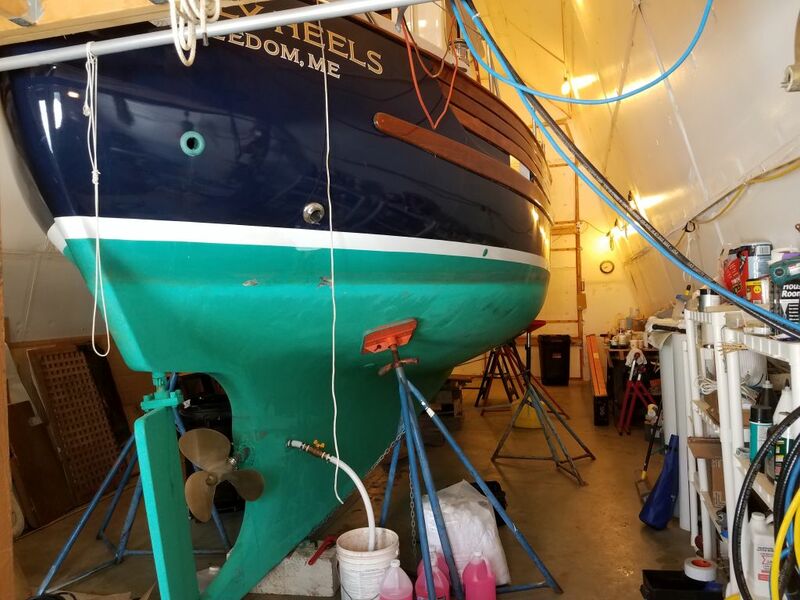 The new trim would be removable for when the dinette was converted to a full-size berth, but would still be needed at other times to hold the cushions in place. 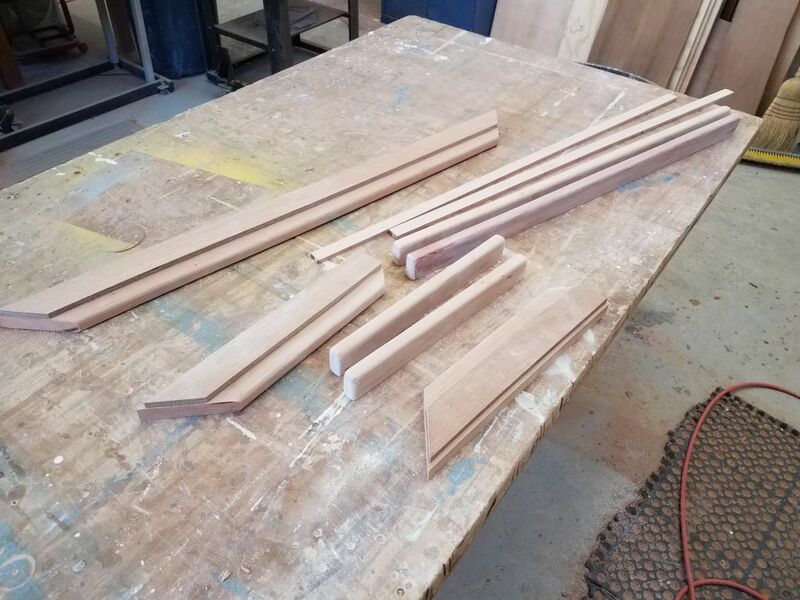 I milled up the pieces I needed, referring to my measurements for lengths. 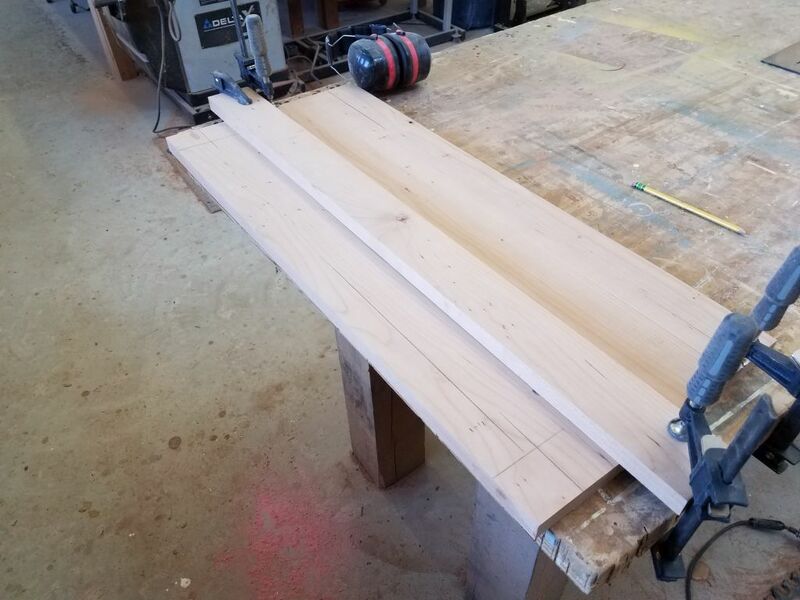 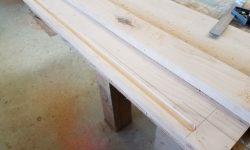 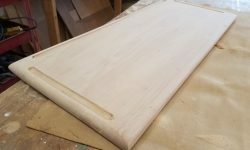 I also prepared two long pieces of simple 1/4″ wide trim that I would use to cover the plywood end grain in the dinette opening once the main trim was installed. 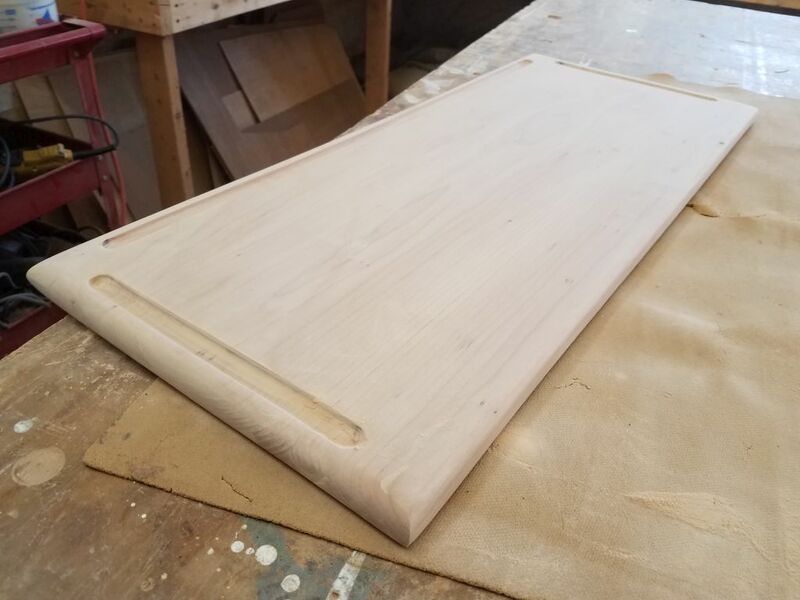 I edge-milled as needed and sanded all the trim pieces smooth through 220 grit. 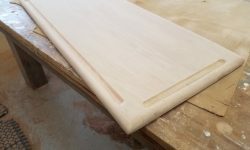 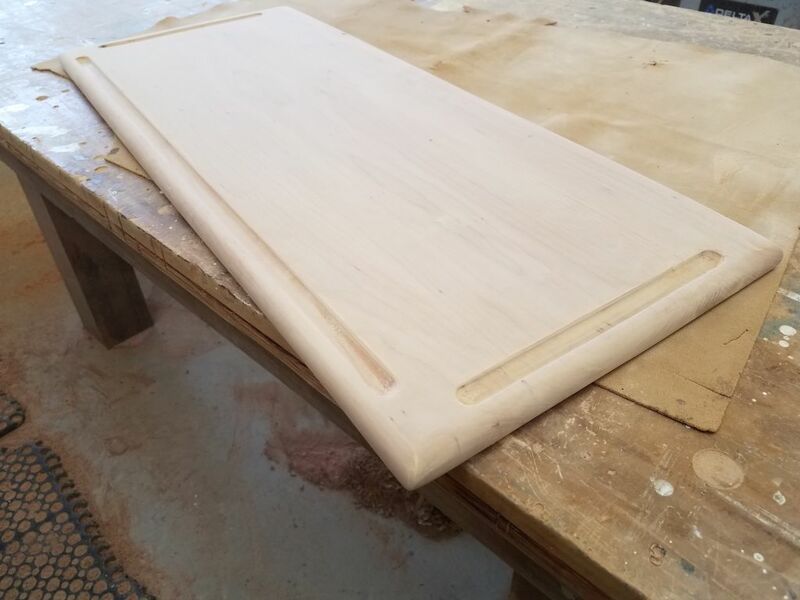 The table top blank required a few additional milling steps. 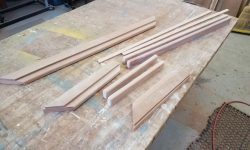 I planned to install one fiddle at the outer edge, needed to hold the filler cushion in place when in use, but the owner thought it’d be best to leave the remaining three edges un-fiddled. 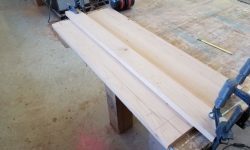 However, we did elect to mill some little recesses to hold pens and the like, so now I set things up to mill these with my router and a sign-making bit I had that would make the appropriate profile. 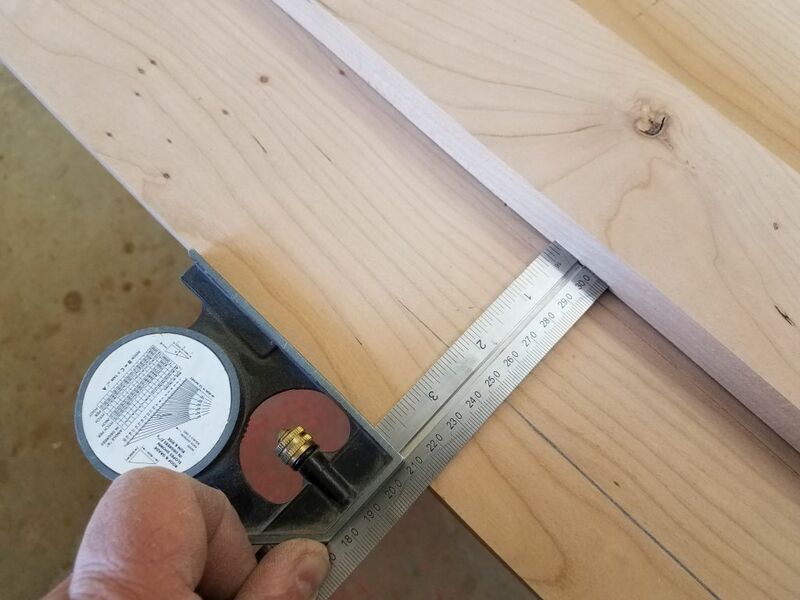 After determining where I wanted the grooves, and measuring the router and bit as needed, I clamped on a straightedge at an offset (in this case it was 3-3/4″ from the edge of the table) against which to hold the router and mill the grooves in a straight line. 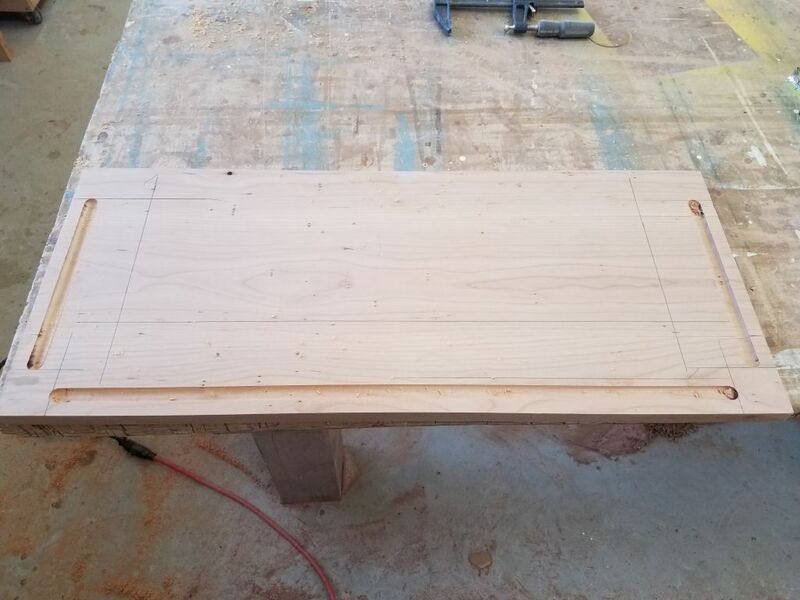 Then I routed the details on the three sides of the top. 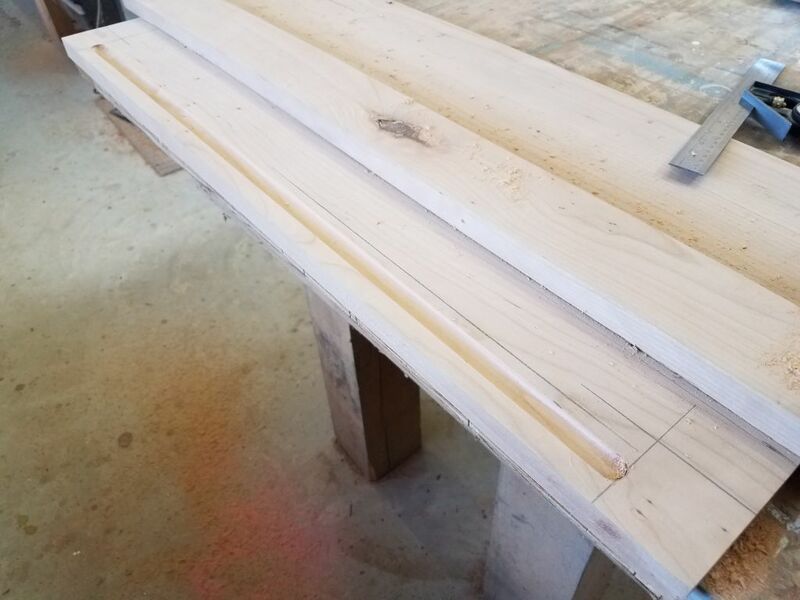 Afterwards, I milled 1/4″ roundover details on the four bottom edges of the table top and on the top outer edge, where I planned the fiddle. 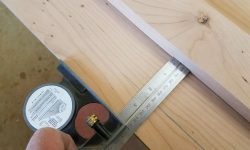 For the inner three top edges I switched to a 1/2″ roundover bit for a smoother profile. 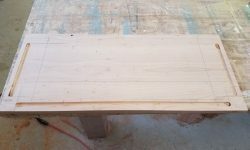 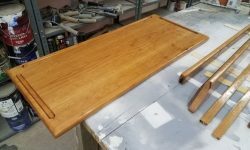 Once I’d routed all the edges, I sanded the whole tabletop to 220 grit. 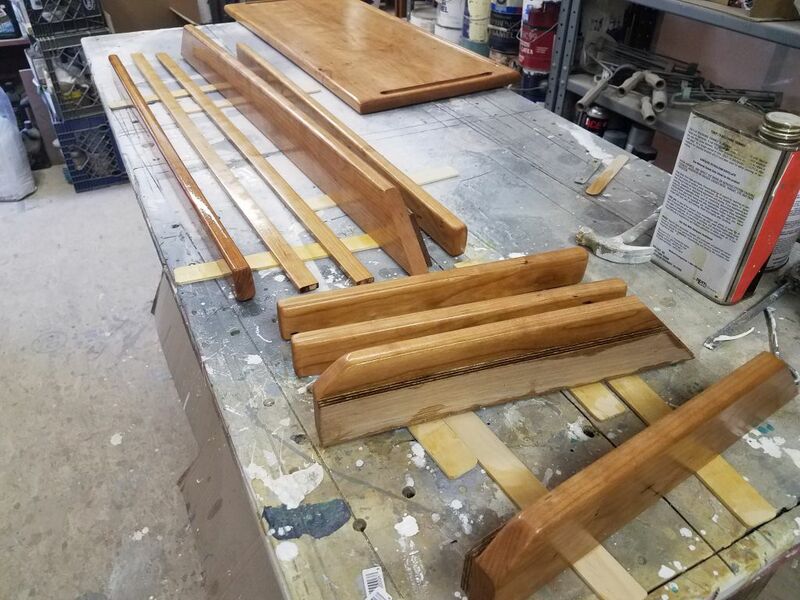 Finally, after solvent-washing, I applied a sealer coat of varnish to all sides of all the new trim and table top. 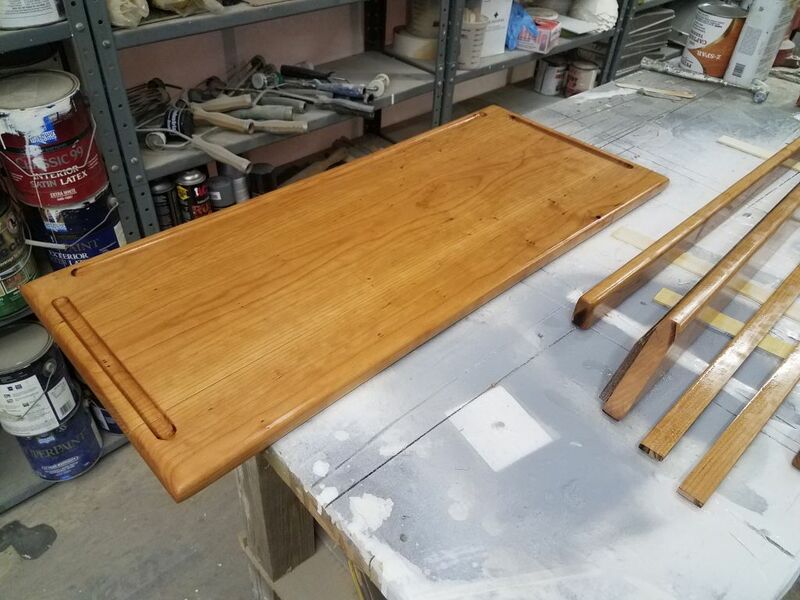 I’d continue building up the varnish over the next few days before switching to rubbed-effect varnish for the final coat to match the existing interior finish.